This is a dry, non lubricating, type service that causes high torque and seal damage. The DAN-EX slips and resilient seals are retracted away from the body during the plug rotation and mechanically expanded against the body until the resilient seals are compressed. 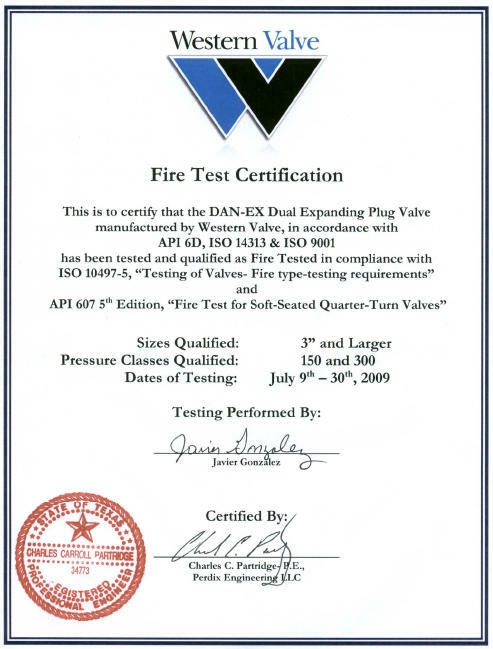 The DAN-EX tight seal can be verified(DB&B) by opening the body bleed, although all of the LPG will be vaporized. The Pressure Gauge Seating Method is commonly used in LPG service. 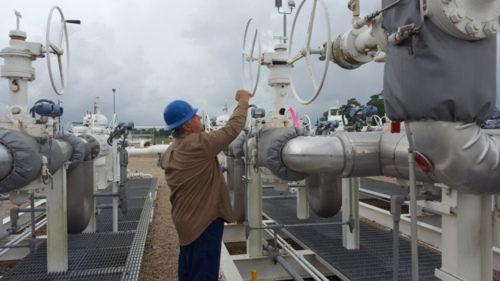 EX: If the body pressure gauge reads 200 psi, open the bleed valve and lower the pressure to 180 psi. If the pressure stays at 180 psi for five min the DAN-EX is sealing(DB&B). Note: Due to thermal expansion the pressure may slowly rise to 200 or higher. The DAN-EX has been used in refrigerated propane and butane for many years.